A wonderful postscript to my letter to Mr. Neptune! The following was published last Wednesday and appeared on The Conversation site. I found it very interesting and wanted to share it with you. composed of igneous rock that wears bits down long before the desired depth is reached. are smaller than the width of a human hair. Like larger plant and animal fossils, scientists can use these delicate structures of calcium and silicon to reconstruct past environments. Did the phrase in the first paragraph of the article jump out for you as it did for me? Doesn’t Mr. Neptune hold his cards close to his chest. Wonder if he communes with man’s best friend?? I just watched a program where they talked about teeming life in the deepest recesses of our oceans. Fascinating. Oh, do pass on the details for we would love to watch that. Best wishes, Susan, for a lovely weekend. Thank you, dear Sir! Delighted you enjoyed it. Thanks to science and new technologies we are learning more and more about our oceans. I remember the TV show when I was a kid with the french diver Jacques Cousteau. It was fascinating. Now there are shows where they show what the ocean floor looks like if they remove the water. Technology ever growing. Golly, that brings back memories when you refer to Monsieur Cousteau! What an inspiration he was! Thanks for that reminder of earlier days, Anita! Mr. Neptune knows but being very Zen allows us to figure it out for ourselves- so far it seems we humans have nary a clue. Just ordered your book, cannot wait to read it. 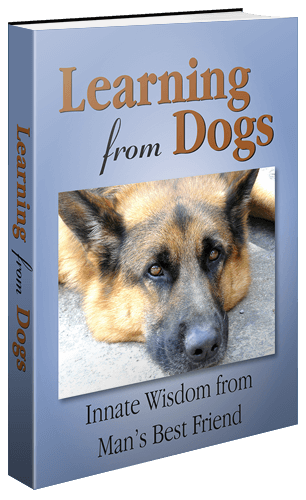 I’ve published 3 dog books. I love your inspirational writing style and hope to learn to be a better writer from reading it. Steve, that’s such a generous thing for you to say. Drop me an email because I would love to ‘chit-chat’ with you regarding your books. But have to tell you that I am largely a self-taught writer and would prefer that you don’t put me on any kind of pedestal! Surrounded by thousands of miles of open ocean, we live with the sea. And it’s nice to be as informed as possible when it comes to ‘ocean knowledge.’ Thanks for posting, Paul! My very great pleasure, Bela. Thank you! I watched a BBC prog on this very subject just a few weeks ago. Fascinating stuff. Tomorrow night (1 Oct, 2018) at 8:30 pm, BBC1 is airing a 1-1/2 hr documentary called ‘Drowning in Plastic,’ as a follow up to their Blue Planet Series. Well done! We have noticed that quite a few BBC documentaries eventually make their way onto YouTube. You need to watch ‘Drowning in Plastic’ when you are able Paul. I know many of the problems but this documentary brought new stuff to light (only discovered this year) about poisonous microorganisms that live on plastic and destroy coral reefs. I don’t think anyone really had a complete picture of the scale of the plastic problem until this documentary brought it all together… It has been trending as a subject on Twitter all day. Have just watched the 30-second clip that was included in that online report. Really underlines my hope expressed in today’s post. That I may die knowing there is hope for the natural world. Better said that there is hope that future generations of humans will recognize that my generation, and possibly the next one, did act! No question that if we can find a way of watching it we will. Although there are times when Jean and I just want to run away from the world! Does that BBC documentary give any cause for hope? I think the efforts are commendable and hopefully the message to people is not to buy or use single use plastics. The scale of the problem is huge though, as you can see by Liz’s (the presenter) horror at what she observes. Thank you! Will follow up on that link. This is a study on Microplastic waste found in the Svalbard Archipelago area of the Arctic that was used for part of the program. The study is interesting because, regardless of where the plastic was made, or where it was dumped, it travels vast distances as tiny pieces. But one of the biggest problems was microfiber that wash out of clothing to enter the sewage system. They are so small, they end up everywhere and cause irreparable harm to the endocrine systems of living creatures (including us). It is a wake up call that we have to rethink things… Better filters on washing machines, return to natural fibres, such as cotton, hemp, wool. I am sure we can find plant alternatives to much of our clothing. I have seen the most amazing carpets that are silky soft…. Made from Bamboo. I am now going to look for cotton clothing and repurpose synthetics for something so that they don’t go in the washing machine (all our grey water goes straight into the canal). It is a huge task to rethink things, but that doesn’t mean that it can’t be done.